What did you think of BTS' performance on SNL? A multilingual K-pop juggernaut, BTS mashes up pop, hip-hop, rock and dance music with huge, infectious energy and kinetic choreography. As of early Saturday, Boy With Luv had been the second trending video worldwide on YouTube, behind the first trailer for Star Wars: Rise of Skywalker (Episode IX). YouTube didn't immediately respond to a request for comment, but according to Variety, the video smashed the site's record for most views in the first 24 hours of release. 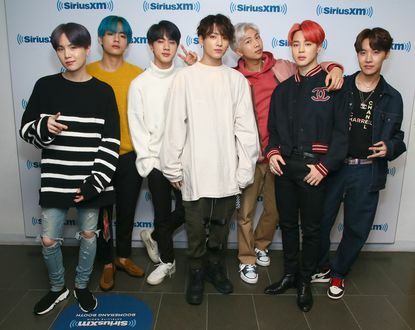 Their album "Map of the Soul: Persona" looks set to be become the group's biggest hit yet, judging from how much they've achieved in just a few days. BTS dropped the video Friday, April 12, at 6 pm Korea Standard Time.